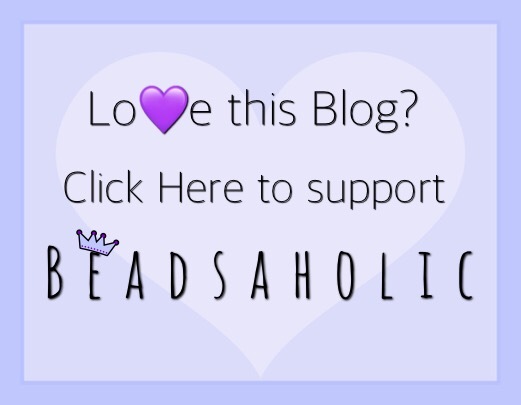 Today Beadsaholic brings some lake-side inspiration featuring Redbalifrog. Recently my family and I spent the day by the lake. It’s basically the closest thing to being at the beach and if you know me, then you know the beach is my favorite place to be. So, I decided I wanted a sea cross lake theme to wear for the day. I took a few lake photos to share with you all. It was truly a beautiful day with beautiful blue skies and big fluffy clouds floating overhead. There really wasn’t a nice shaded area to take photos; however, there was plenty of sunshine! My sea bracelet features Redbalifrog Seahorses, Winged Heart, Hawaiian Floral Stoppers, Trollbeads Pearls and Bangle. I truly love wearing both Seahorses together, they create the perfect love story. My lake combination includes the Trollbeads Pearl, Redbalifrog Lotus Flower, Retired Fenton Glass, Ohm Beads Nian Nian You Yu, Retired Fenton Glass, Ohm Beads Lotus, Trollbeads Pearl, all are on the Trollbeads Copper Twisted Bangle. I truly love how well these beads mix together. Over all, it was a nice and relaxing day by the lake. I enjoyed being out for the day and I enjoyed this stack of beads; water themes always make me happy. All the beads in this combination are still available excluding the Fenton and Ohm Beads Nian Nian You Yu and if you would like to shop for any of the brands you may do so at the following links below. 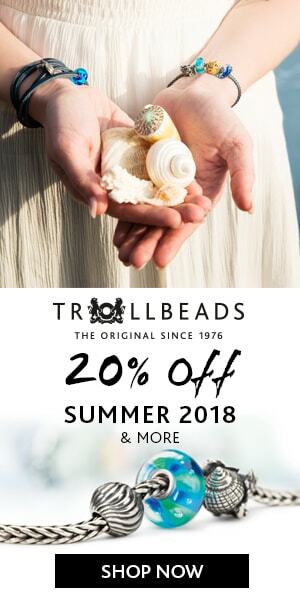 Currently Trollbeads retailers in the US have a Promo Buy Three get One Free going on, so it’s a good time to buy any beads on your wish list. Also, let’s don’t forget Redbalifrog has a new release Big Blue debuting next Friday, March 23rd, 2018! As always, I love hearing from you all. What is your favorite place to visit? Do you prefer to be lake side or sea side? Thank you so very much, Lizzie! 💙 sweet of you to say. I love outdoor photos, but prefer it not to be direct sun. This was a nice summer day by the lake.